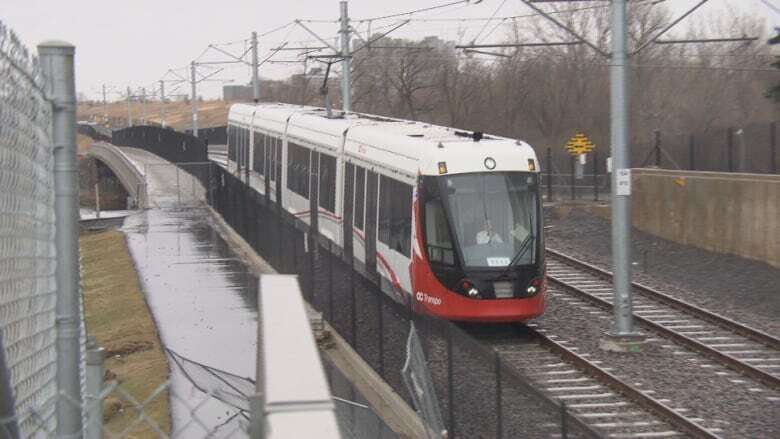 Delays in completing Ottawa's light-rail system has cost $25 million so far, according to a memo the city treasurer sent to council members Wednesday afternoon. The city is hoping to recoup most of the costs from Rideau Transit Group (RTG), the consortium building Ottawa's $2.1-billion LRT, but there's no guarantee that will happen. RTG was originally supposed to deliver the LRT to the city last May, but in February the city announced the date would be pushed back six months to Nov. 2. When it was revealed in September that RTG would miss its second deadline to hand over the LRT to the city — this one set for Nov. 2 — the finance and economic development committee asked treasure Marian Simulik for a full accounting of the costs of the delays. That memo was sent Wednesday after council's first meeting of the new term. The city is incurring more costs due to the delays, including keeping buses on the road longer than planned, extending bus detours and keeping the O-Train construction office going. It has also saved some money by deferring maintenance costs and debt payments to RTG. Still, at the end of the day, the city is out $24.5 million — and that assumes that the LRT will be finished by the end of March 2019, which is what the city is expecting. The memo confirms that RTG has not officially confirmed a new date for when it will hand over the LRT. Simulik's memo states that the estimates, and the expectation that RTG will pay the extra costs, are based "on the terms of the project agreement." Mayor Jim Watson said Thursday the city pursued a fixed-price contract because it didn't want to assume all the risk, and paid a premium for that arrangement. He said the city is in a good position to ensure it receives the funds. "They will have to pay that, not the taxpayer. Whether this goes to court or not, that is to be determined. But we are in the driver's seat because we have the money that we are holding back until the system is up and running."